Self-control is typically conceptualized as an inherent human skill, focusing on the imperative control of thoughts, feelings, and behavior. In the present research, we scrutinize this understanding by differentiating between an ability self-concept of self-control strength and experiential acts of self-control. Moreover, by taking a motivational perspective, we analyze how much of a role intrapsychic conflict plays in both conceptions of self-control, and with regard to psychological well-being. In cross-sectional Study 1 (N = 228), we compared a typicality measure of experiential acts of imperative self-control with the widely used Self-Control Scale (Tangney et al. in J Pers 72:271–322, 2004). Findings confirm that “being good” at self-control does not correspond to “acting” self-controlled, and that both measures show opposing relationships to intrapsychic conflict, as well as to well-being. In Study 2 (N = 114), we corroborated these findings by using an experience-sampling approach. Multilevel analyses showed that between-person differences (Level 2) in self-control strength were generally unrelated to experiential acts of self-control in everyday life. By contrast, we found a positive Level 2 effect for acting self-controlled. With regard to momentary affect, both between- and within differences (Level 1) in acting self-controlled served as substantial predictors, in addition to momentary self-determination. 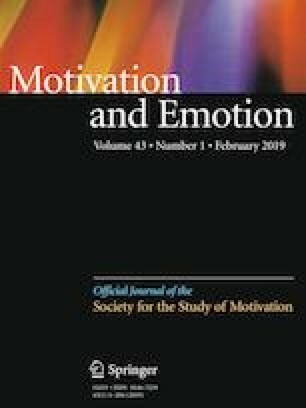 Other context-dependent effects (i.e., studying vs. leisure time) further emphasize the need to consider motivational interpretations of self-control (strength). The online version of this article ( https://doi.org/10.1007/s11031-018-9721-3) contains supplementary material, which is available to authorized users. This research was supported by a research grant of the Bielelder Nachwuchsfond, Bielefeld University, Germany, to Axel Grund. Saunders, B., Milyavskaya, M., Etz, A., Randles, D., & Inzlicht, M. (2018, January 19). Reported self-control is not meaningfully associated with inhibition-related executive function: A Bayesian analysis. https://doi.org/10.17605/OSF.IO/BXFSU. Schallberger, U. (2005). Kurzskala zur Erfassung der positiven Aktivierung, negativen Aktivierung und Valenz in Experience Sampling Studien (PANAVA-KS) [Scales for assessing positive/negative activation and valence in experience sampling studies]. Research report. Retrieved March 2, 2013, from http://www.research-projects.uzh.ch/p6975.htm.